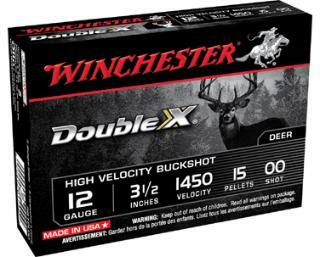 Winchester Ammo SB12L00 Double X High Velocity 12 Gauge 3.5 15 Pellets Buck Shot 5 Bx| 50 Cs in. Winchester Supreme Buckshot features are tight flat shooting long range pattern. Copperplated hard shot. Highest performance Winchester buck shot loads.